There's treasure as far as the eye can see. But it's heavily guarded by an unspeakable number of dangers. Wild creatures, ancient traps, and even flowing lava stands to kill you at every turn. That's the setup for Spelunky 2, the next roguelike from developer Mossmouth, which was on display within the Day of the Devs area at this year's Game Developers Conference. Spelunky 2 is a true sequel to the original Spelunky, fast-forward a full generation after the first game. Spelunky Guy is comfortably retired, while his daughter, Ana Spelunky, and a handful of allies have taken up his vocation of exploring dangerous environments in search of fat loot. Unlike the first game, this game started off with a character select screen where more than one person could jump into the adventure. With a handful of caves to explore, Shacknews braved the mysterious depths and went hands-on with Mossmouth's second game in the series for the first time. The faces may be new, but the main premise of Spelunky 2 is the same. The idea is to explore treacherous caverns in search of treasure, which is either out in the open, contained in destructible pots, available in shops, or otherwise hidden. Each procedurally-generated stage is filled with enemies and various hidden dangers. Arrows might fly out of the wall, moles might dig up from underground or through the walls, and snakes might be hiding inside pots waiting to strike. If all of this sounds familiar, that's intentional. Spelunky 2 isn't meant to stray too far from the original formula. In fact, my very first life saw me confronted by a familiar sight: the killer ghost from the original game, which cornered me and swallowed me up. While elements like the ghost will harken back to the original game, Mossmouth has a few twists in mind for certain returning features. 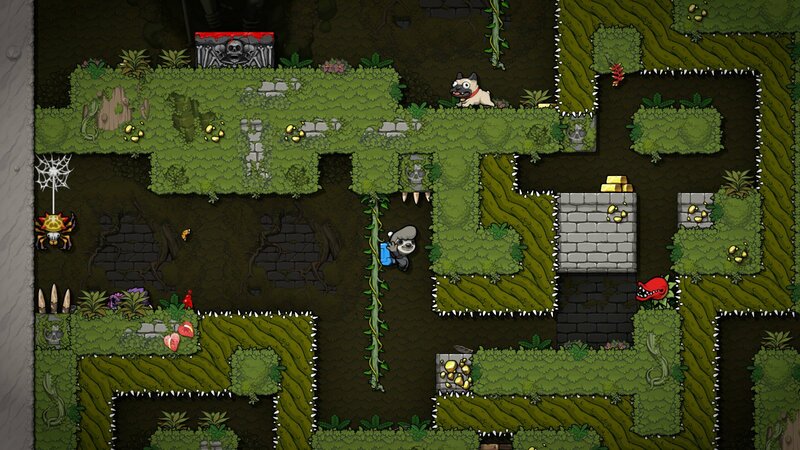 "In Spelunky 2, we change it up a bit," creator Derek Yu told Shacknews. "In Spelunky, the ghost also had a special property where if it touches a gem, it'll change it into a diamond. So people would use the ghost to increase their high score. It's a risk/reward type of thing. It was actually a big part of scoring runs in Spelunky. So in Spelunky 2, if you let the ghost stay on the screen long enough and you dodge it long enough, it'll actually split into two ghosts. So it's much more dangerous and the epic part of that was to make the technique of using the ghost to increase your score more challenging." Several other elements of the original Spelunky are in place, including killer traps, treacherous falls, dimly-lit areas that require torches, and guards who will fire off a shotgun indiscriminately at the sight of vandals. A newer feature has every stage operate with multiple layers. Certain tunnels or doors will take players into a stage's background, where additional treasure awaits. Of course, Spelunky 2 is certainly no easier than the original game, as I failed to get past the opening caves. The world of Spelunky 2 does open up past the caverns. Players are prompted to select between one of two different environments: the jungle or the volcano. More dangerous enemies await in the jungle, with Yu describing a new enemy type called the Witch Doctor. If players are spotted by the Witch Doctor, it will pull out a voodoo doll and cast a spell. If the player is afflicted, the Witch Doctor can poke at his voodoo doll from anywhere in the map and cause instant damage anytime. 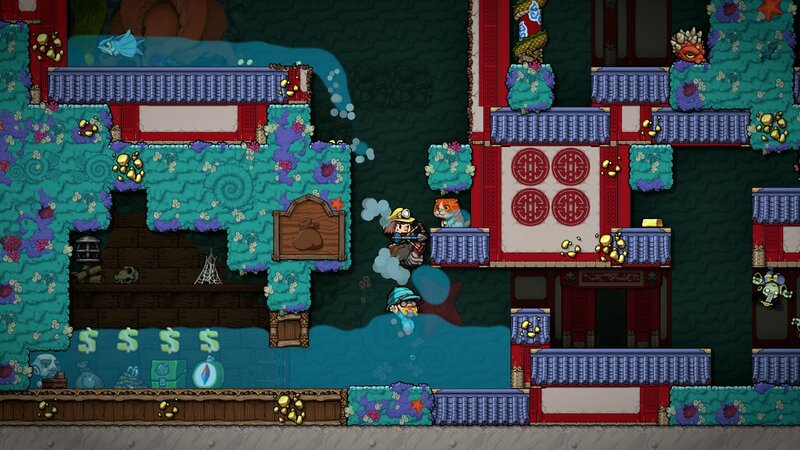 The volcano is home to one of Spelunky 2's most intriguing new features: liquid physics. Lava will flow throughout the level and if certain parts of the stage are destroyed, the lava will flow towards its new open path, potentially creating deadly waterfalls. "We've got lava, which was in Spelunky, but we've got actual liquid physics in Spelunky 2," Yu added. "So if you blow up a hole underneath a pool of lava, it'll actually fall using real water physics, versus in Spelunky where it was kind of faked. The liquid physics are another thing where it makes the game feel more dynamic. You get these lava waterfalls that just get naturally created as you're playing. There's a new robot in the volcano area where if you step on its head, that'll activate it and then the robot will explode after a little while. A lot of times, that'll work with the lava and create those lava waterfalls. But there are new items and things that you can use that'll help you past these new obstacles." One of those new things comes in the form of ridable mounts, which players can either ride or hold in front of them like a shield. 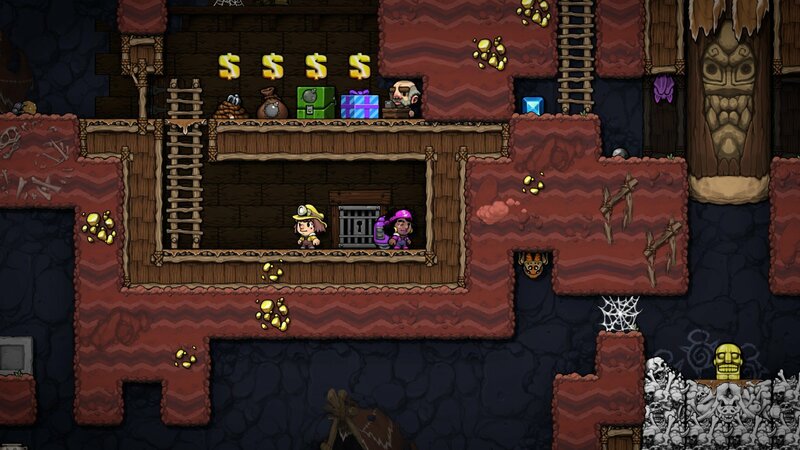 Given Spelunky's propensity for traps and killer enemies, I did have some trouble discerning between friend or foe. Hey, that bulldog might have its tongue out and have this goofy look on its face, but considering almost everything is out to kill you, it was a little tough to tell that it was a ridable mount. One doesn't think of these things when they're in the moment and have only a limited time to play. This is just a small slice of what players can expect in Spelunky 2. Yu alluded to several other new features that he can't discuss at this time. Look for those to be revealed at a later date. Get ready to adventure with Ana Spelunky and friends, as Spelunky 2 comes to PlayStation 4 and PC later this year. Is that shopkeeper just chilling underwater? I hate to steal thunder from Spelunky 2, but, since the game won't be coming out on the switch - I wanted to point everyone towards CAVEBLAZERS which IS on switch and IS awesome and a lot like spelunky and in some ways better. It also has the best trailer for a video game I've ever seen.